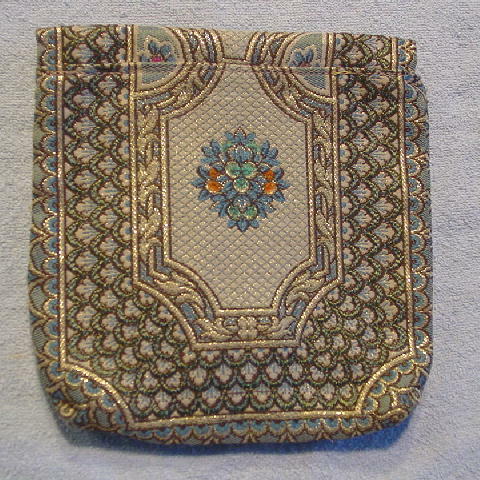 This vintage fabric and metallic gold thread evening purse was made in Italy. The front flap has a hidden snap closure. It has a yellow fabric lining with an interior open pocket. 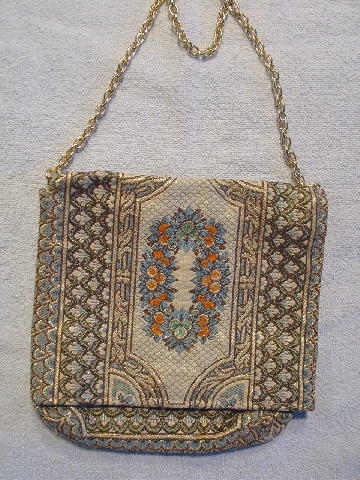 The purse has a design pattern in green, coral, antique bone, blue, and brown. It has a 28" long chain link strap which is attached to two gold-tone hooks. The fabric has quite a bit of body to it. It's from a former Italian model. 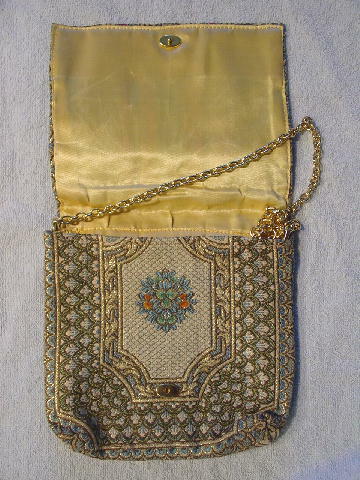 This was the only evening purse she used when modeling in Milan and Paris.